The Myrtle Beach area, better known as the Grand Strand, is a unique and diverse area. Each Grand Strand community has its own unique selling point like North Myrtle Beach's raised beach homes near popular vacation spots, Pawleys Island's breathtaking scenery with homes that feature both oceanfront and inlet views, and Market Common's condos and Charleston style homes conviently located near shopping, restaurants, and an impressive Grand Park Athletic Complex, just to name a few. Each neighborhood appeals to different buyers. To obtain the highest possible sales price for listings, our in-house marketing team has worked with the real estate team to create a strong marketing plan supported by both traditional and modern marketing tactics. CRG Companies has the advantage of a highly specialized team that has been consistently expanding so that sellers always have access to a knowledgeable Realtor no matter their unique need. 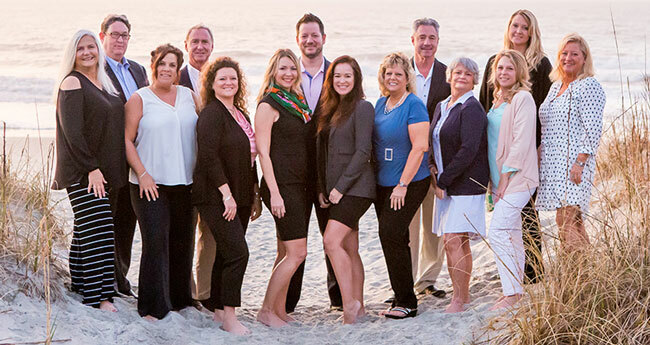 Our team of Myrtle Beach real estate agents work hand-in-hand with our in-house marketing team and a strong network of professional photographers, copywriters, SEO specialists, and designers that we depend on regularly to deliver the highest level of real estate marketing possible. Decades of experience helping clients buy and sell homes in the Myrtle Beach area as well as constantly adding new educational opportunities as often as possible have created a team of Realtors that can determine the best possible property values, follow a carefully designed marketing plan, and market real estate listings to relevant buyers. Find your home's value with our free market analysis!